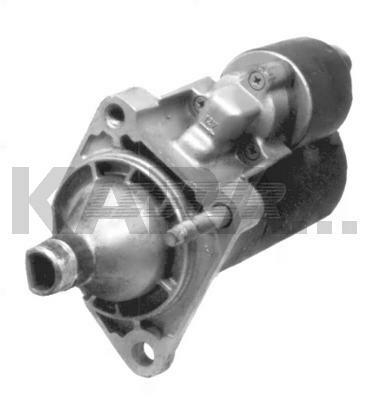 Bosch PMGR Starter for Chrysler Domestic Vehicles. This Unit Looks A Lot Like the 16974, Except the PMGR Case is Smaller. The 16974 Will Work, If Space Allows. The NDenso Unit That Chrysler Also Uses Here is the 17007, Which Interchanges. There are Differences Among the 16963 as OEM No. 's Vary. The Main Differences are Whether the Through Bolts Have Extensions on the Rear (For Rear Bracket Mounting), The Size of the Solenoid Terminal Post (4mm or 5mm), And Whether the Threaded Stud is Included in the Top Mounting Hole, Or Whether the Top Mounting Hole is Simply Threaded. Use the Following Guide for Identification Purposes: 120-312 Uses No Threaded Extensions on the Through Bolts, and Use the 4mm Ignition Terminal Stud on the Solenoid. 120-312A Uses Threaded Extensions on the Through Bolts (For a Rear Mounting Bracket) and the 4mm Ignition Terminal Stud on the Solenoid. 120-312B Does Not Use Extensions on the Through Bolts, But Uses a 5mm Ignition Terminal Stud on the Solenoid. Although Many of the Internal Parts Cannot Be Mixed Between Units, Completed Units Should Interchange.We Suggest Supplying a Terminal Eyelet Connector With Each Solenoid to Match the Ignition Stud Used.In 1994 Lester Supersedes The 16963 to a 16962 - Ignore This.